'Please Wear A Poppy' is a famous poem written by Don Crawford. 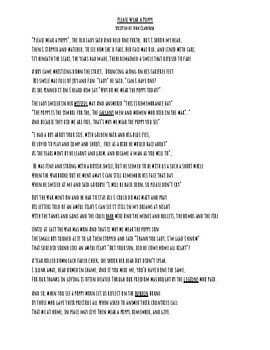 This is a copy of the poem along with some reading response questions. The questions have a predicting element as well as questions on inferencing. 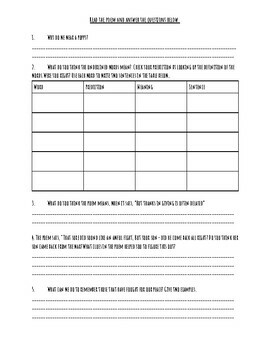 There are 5 questions along with a vocabulary chart that students need to fill in.